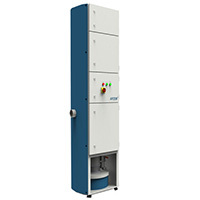 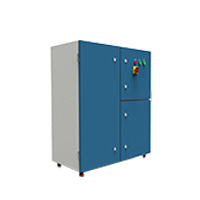 Laser Fume Extractors are used for the extraction of dusts and fumes that are produced by the use of laser machines. 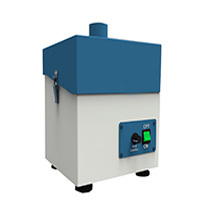 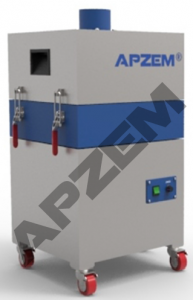 This fume extraction system helps in removing the fine particles and smoke from the work environment. 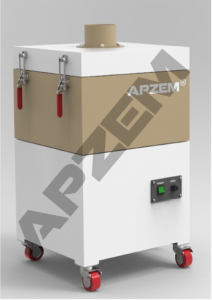 Extraction of dust particulates and smoke from indoor work area will ensure the safety of the working employees. 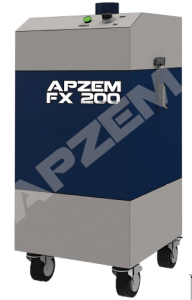 Dust Extraction helps in keeping the Laser machines free from dust. 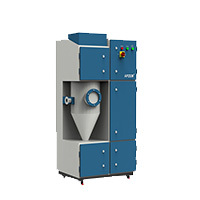 Dust collectors helps in maintaining safe working condition. 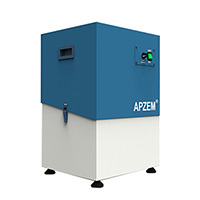 Apzem ® Laser Fume Extractor are designed to capture hazardous fumes and micro dust particles generated while using laser machines in Marking, Coding, Engraving, Cutting, Welding,Soldering, Brazing, Ablation, Cladding, Micro Machining, Laser Kiss Cutting, Jewellery manufacturing etc..
Apzem® Laser fume extraction systems are portable, cost efficient, easy to integrate into existing production line, reliable and highly capable of Extracting and filtering out even ultra fine particulate maters, Volatile Organic components (VOC’s), and other hazardous fumes very effectively, efficiently and thereby protects operator’s health, Increases quality of the laser processed finished products as well as minimizes machine breakdown for maintenance and increases machine life. 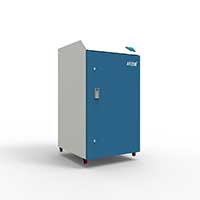 All our Laser fume extractors are designed to work with all laser manufacturers machines and easily fits into any environment. 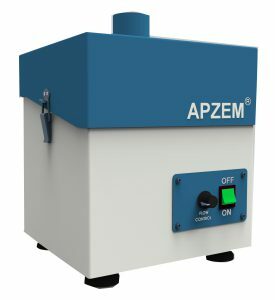 The dust’s and fumes generated while laser processing highly depends on Type of Lasers ( CO2 Laser, Fiber Laser, Nd Yag Laser, Solid state diode Lasers etc..), Laser machine powers, Type of materials processed ( Metals – Steel, Aluminum, copper, silver, gold, platinum, non metals – Plastics, wood, Acrylic, PVC, Leather, ceramics etc..) and Laser process. 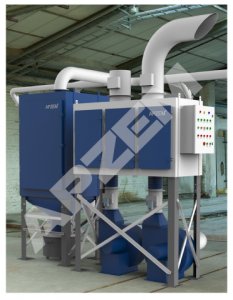 All Filtration systems consist of pre-filters, Fine Filters, HEPA filters (optional) and Carbon filters / Chemical filters, Cartridge filters that remove harmful fumes and return purified air to the workplace. 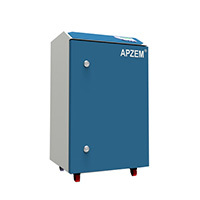 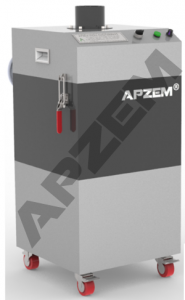 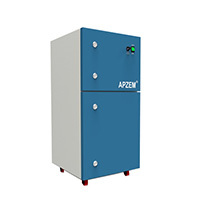 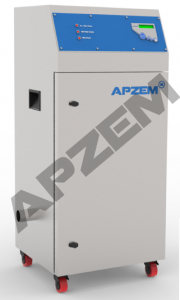 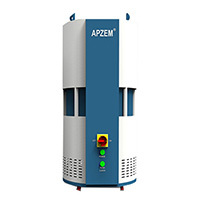 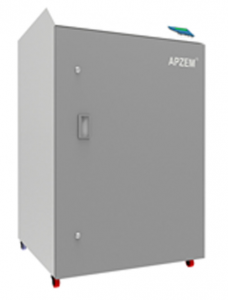 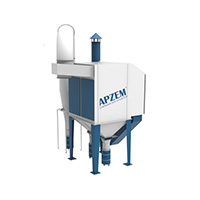 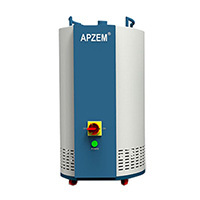 Apzem® Designs, Manufactures and sells wide range of Laser fume dust extractors catering to the needs and demands of wide range of industrial process and materials processed.Please find below 13 categories and 35 models of Fume Extractors to choose from.Please feel free to contact us @+91-7401373819 and we would be very much happy to assist you in selecting right fume extractors of sufficient filtering capacities matching exactly to your requirements and budget.